Join the fleet, and let’s move your business into the future. Stay on top of your assets wherever you are in the world from your mobile device. Our mobile app can use your location to find nearby assets, or simply log in and track your assets wherever they may be. Choose to receive SMS alerts for chosen events and stay in control of your operations. If you manage a fleet of vehicles, machines, mobile assets, or even non-powered assets like trailers and shipping containers, our fleet management solution can give you complete visibility of your fleet’s performance. We can help you highlight underutilised services, monitor maintenance needs and regularly review usage to offer recommendations and deliver savings. Connect Fleet provides user-friendly software solutions that gives you frontline technological advances to fleet management. Move your work force into a paperless future with $0 upfront fees and flexible rental payment packages. Along with our innovative technology comes an attentive team of (human) specialists, focussed on delivering a great customer experience with ongoing account management, seamless updates and integration to make work easier for you. Our easy to use software platform is available across all devices. See how we provide businesses of many sizes and industries, complete control and optimisation over their business operations. Our simple user-interface makes our software platform easy-to-use and quick to learn. Have assets at your fingertips and find everything you need to confidently run your fleet, in our all-inclusive platform. Automatically generate and send alerts and warnings. This will save you time and money and make monitoring more effective. We offer endless standard reports which cover various fleet operations across a number of different areas. Reports can also be customised to suit business operations and requirements. 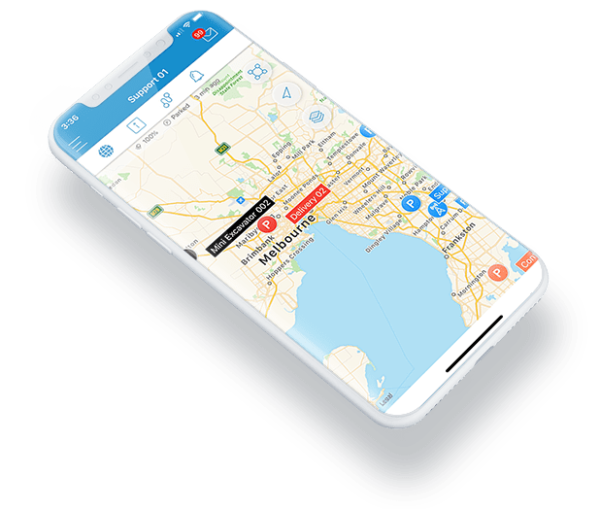 Have complete visibility of your fleet, know where your assets are at, allocate tasks to staff and communicate with your team on the road promptly and directly via the mobile app. We offer a wide range of devices with over 800 pieces of GPS hardware that we can integrate for your business, providing a highly tailored and flexible approach.